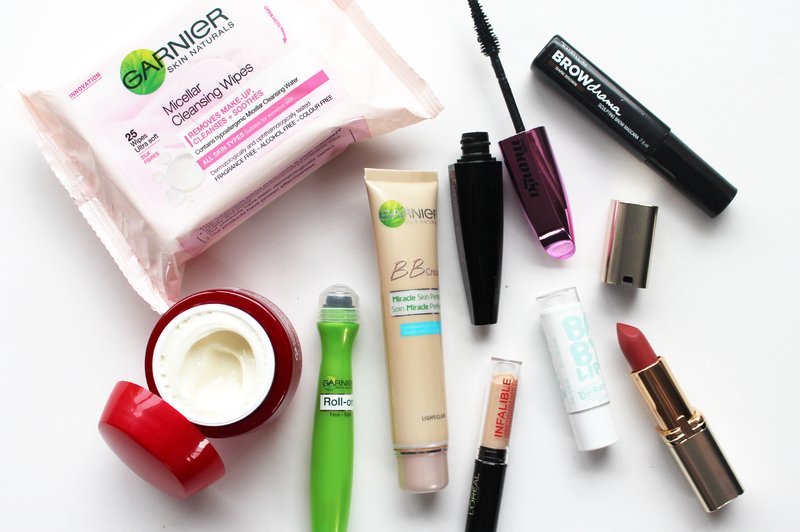 I don't use makeup wipes all the time, instead I prefer a cleansing water or cleansing oil, but for certain occasions i.e. flights, camping and festivals (or after a big night out), a face wipe is totally called for. 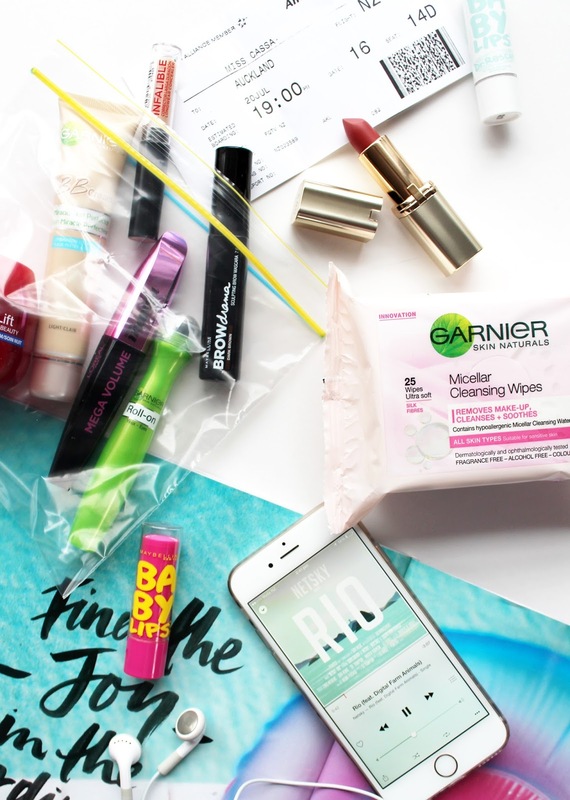 Following on from the amazing Micellar Cleaning Water (see my thoughts on it here), Garnier are bringing out Micellar Cleansing Wipes* (NZD $8.99) that are soaked with the same amazing formula of the Micellar Water that make them ideal for taking on a flight. 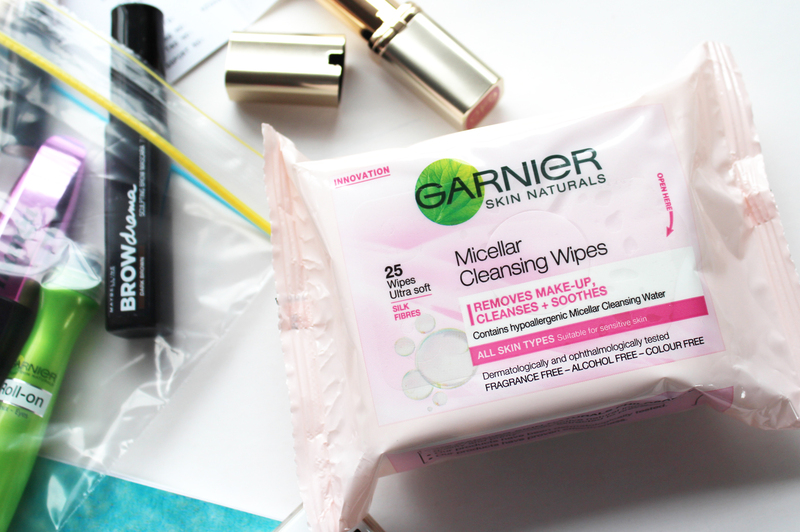 The Micellar Cleansing Wipes are a lot gentler than other wipes I have used, the wipes have silk fibres throughout them and they are super soft on the skin, making them non-irritating, but they also do a great job at removing makeup and dirt from the skin. I like to use makeup wipes throughout the flight, and then will follow up with an eye cream or gel - the Garnier Youthful Radiance Caffeine Eye Roll-On* (NZD $17.49) is super soothing, as well as moisturising. It also helps to perk up the under eye area if you are one of those serial in-flight movie watchers. As well as drinking loads of water on the flight, make sure you always keep your skin well moisturised too as the AC is very drying - my pick is the Garnier UltraLift Anti-Wrinkle Firming Night Cream* (NZD $17.99) as it's thicker and more nourishing than a normal day cream and will keep the skin looking plumper. A lip balm is always important too; I find myself using one constantly on flights - the Maybelline Baby Lips range (NZD $4.29) are purse friendly, smell good and keep the lips hydrated. So hopefully with a bit of rest, a lot of water and keeping up a good skincare routine on the flight, your skin should be looking fresh, but if not a little makeup can definitely help in improving how you feel about yourself as you step off the plane into a new country. 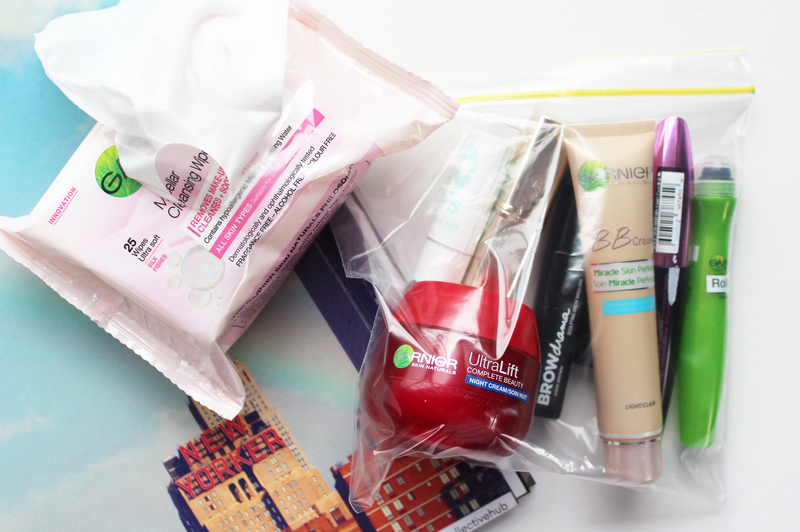 I don't go all out with the beauty - just a couple of items that are quick to apply in the cramped airplane toilets. A BB Cream like the Garnier BB Miracle Skin Perfector (NZD $17.49) is light enough on the skin, but is also moisturising and provides a decent amount of coverage and works best applied with your fingers. A bit of concealer under the eyes to hide any dark circles will always perk up the face, and the L'Oreal Paris Infallible 24H Concealer* (NZD $25.99) provides good coverage and the small stick form makes it easy to apply and blend with your fingers. 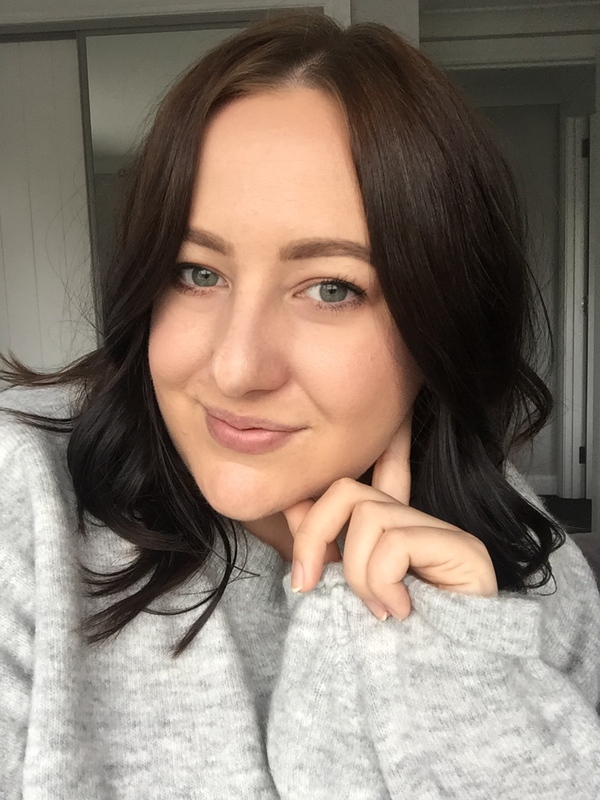 A quick swipe of the Maybelline Eye Studio Brow Drama (NZD $14.99) through the brows will tidy them up and give a hint of colour through them. Finish off with some mascara that will instantly make you look more awake - the new L'Oreal Mega Volume Miss Manga Mascara*(NZD $25.99) is great for volume and adding density to the lashes. If you want to look extra fancy you can of course go for a lipstick of your choice, or just stick to the lip balm. Other things that are crucial for in-flight beauty that are sort of no-brainers; a toothbrush and toothpaste, and deodorant, also a good hand cream can go a long way if you have quite dry skin. What do you like to take on long haul flights? Anything crucial that you can't go without? *Sponsored Post/PR Samples. All views my own.